Associated with the great Chris Brown, he deserves to be in this post. When i tell you boy can sing, that isn't even the right thing to say, boy can SANG. Did i mention that he's only 12 years old? So it really doesn't surprise me that he hangs with Chris breezy. I found out about him by looking on this random site. I advise all of you guys to check him out. Next big thing! While this is a boy band, i still see them as able to fit into the Justin Bieber category. I found out about Mindless Behavior from that site i told you guys about last M.F. 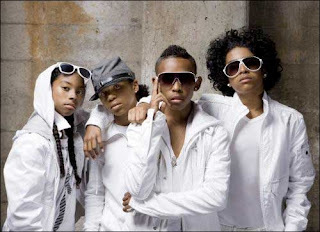 ( Jysk.com) When i first heard their song "My girl", my first thought?